Retinylidene proteins (also called rhodopsins) are membrane-embedded photoreceptors that contain a vitamin A aldehyde linked to a lysine residue by a Schiff base as their light-sensing chromophore. The chromophore is surrounded by seven-transmembrane α-helices and absorbs light at different wavelengths due to differences in the electronic energy gap between its ground and excited states. 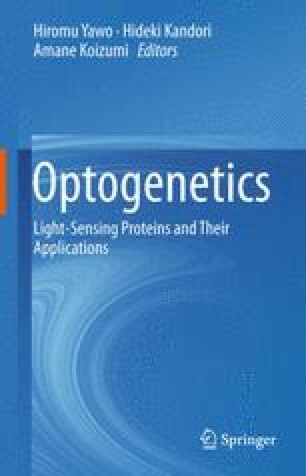 The variation in the wavelength of maximal absorption (λmax: 360–620 nm) of rhodopsins arises due to interaction between the apoprotein (opsin) and the retinyl chromophore, the ‘opsin shift’. This chapter reviews the color tuning mechanisms in type-1 microbial and type-2 animal rhodopsins as revealed mainly by our experimental and theoretical studies.